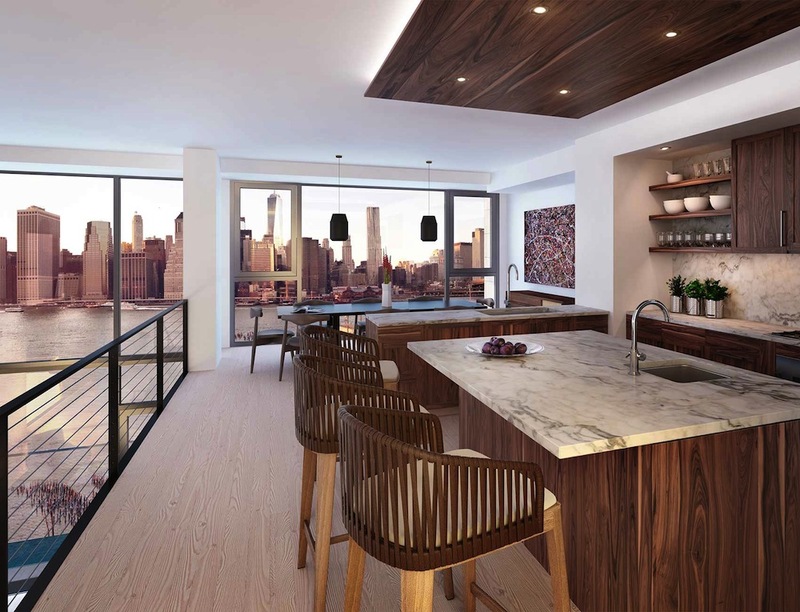 Pierhouse at Brooklyn Bridge Park by Toll Brothers City Living brings the luxury indoors and outdoors. 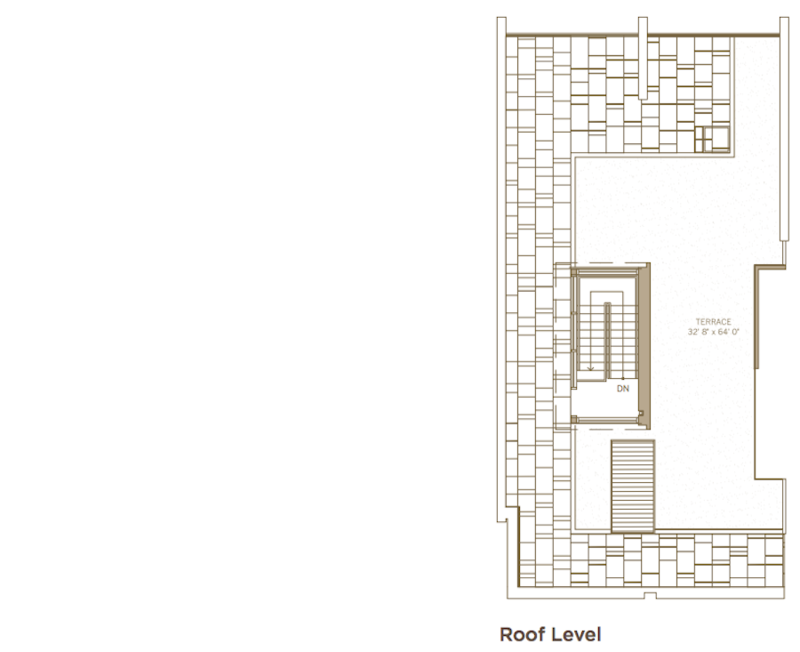 Located on Furman Street, the Brooklyn Heights project features a stepped facade of stone and metal, green roofs and a variety of walkways to access the 85-acre park along the waterfront. The 108-unit development broke ground in 2013 and started sales last February. Many of the townhouse-style apartments have 18-foot ceilings in the living rooms, and there are plenty of duplexes among the eco-friendly condos. The floors are lined with 600-year-old heartwood pine reclaimed from local warehouses, while high-efficiency LED lighting, automatic solar shades and in-unit Bosch washer/dryer provide modern convenience with a green twist. The kitchens have Calacutta Tucci marble countertops, solid American walnut kitchen cabinetry, under-counter composting units by NatureMill, Gaggenau appliances and locally sourced 18-bottle wine storage. The spa-like master baths are fitted with marble tile flooring, marble countertops and freestanding Waterworks tubs. Available units are priced from $1.05 million and come in a generous array of one- to five-bedroom layouts (we’ve previously rounded up impressive terraces here). Residence N1007 is a 4,187-square-foot five-bedroom, four-bathroom asking $10.49 million. 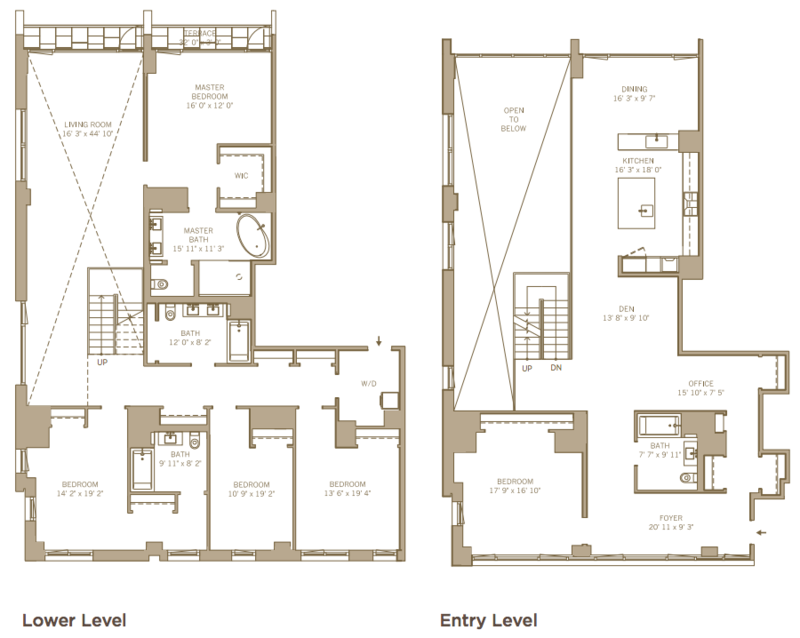 The 10th-floor unit has 1,922 square feet of exterior space. Toll Brothers was recently named as the Most Admired Home Building Company in Fortune Magazine’s 2015 survey of top-tier firms. The survey, which began with more than 1,400 companies across more than 50 industries, asked more than 4,000 executives, directors and analysts to rate companies in their own industry based on nine criteria. In addition to winning the No. 1 spot in Home Building, Toll Brothers ranked first in the categories of Quality of Management, Use of Corporate Assets, Long-Term Investment and People Management. The City Living division — which developed Pierhouse, along with other luxury condos and townhomes in New York, New Jersey and Philadelphia — represents Toll Brothers’ foray into sophisticated multifamily developments in metropolitan markets. City Living units were 5 percent of the value of contracts signed in the 2015 fiscal quarter ending January 31st. The average unit price was $2.3 million. Curious about Pierhouse? Get in touch with the team here.